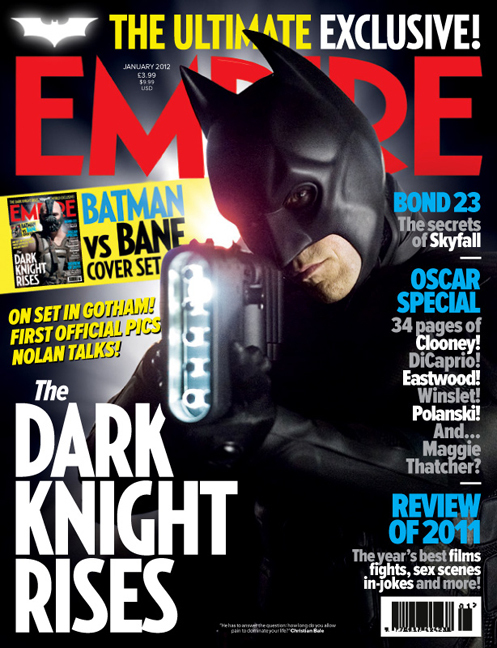 Home / Magazine Cover Stories • NEWS / Empire Magazine Reveals Two New Dark Knight Rises Covers! Christian Bale As Batman! Tom Hardy As Bane! 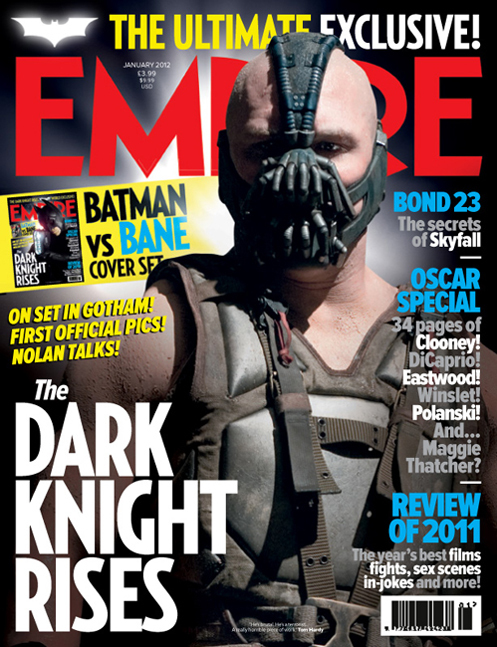 Empire Magazine Reveals Two New Dark Knight Rises Covers! Christian Bale As Batman! Tom Hardy As Bane! Anyway, there is an official cover with Tom Hardy as Bane and an official cover with Christian Bale as Batman. NICE! Both covers are pretty cool. I’m not really sure what Batman is shooting necessarily, but it’s all good… You go Batman! Shoot away! 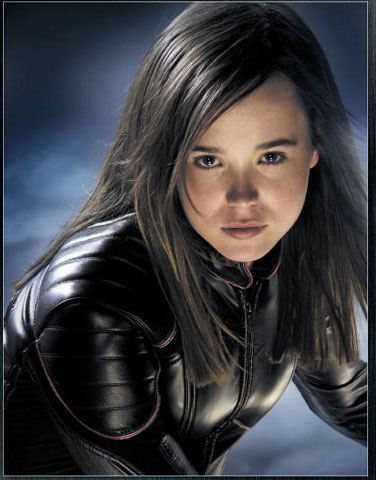 Now, where’s the Anne Hathaway cover? Hmmmmmmmm…..
check out the covers after the jump! Entertainment Weekly Features The Vampire Diaries All Shirtless and Naked on the New Issue! Nina Dobrev! Paul Wesley! Ian Somerhalder! By The Sea! First look At The New Brad Pitt And Angelina Jolie Romantic Drama! Swoon! Riley’s First Date? Sneak Peak! Go Back Inside The Mind Of Inside Out! World Premiere At D23!